Edraw Max provides a variety of wheel diagram templates for users as well as timeline templates as it is a professional diagram program with the ability to create all kinds of diagrams. 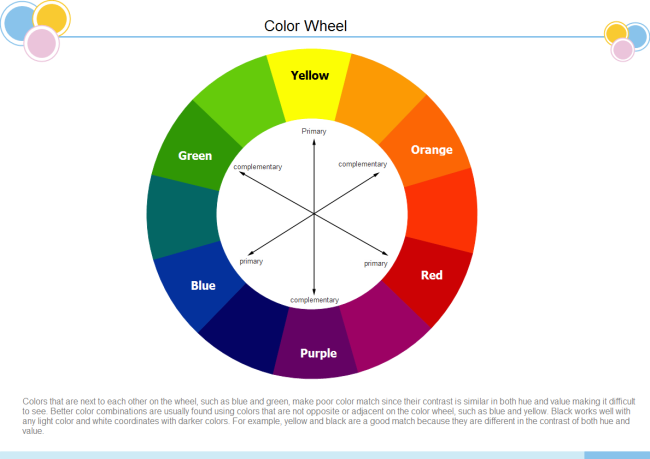 A wheel diagram is an abstract illustrative organization of color hues around a circle, which shows the relationships between the center circle and the secondary circles. There are abundant wheel diagram templates in Edraw Max, and all of them are free downloadable and editable. Users can download them and customize the contents to fit their own needs. What’s more, Edraw Max supports to export all these templates to many formats, such as PowerPoint, PDF and Word. 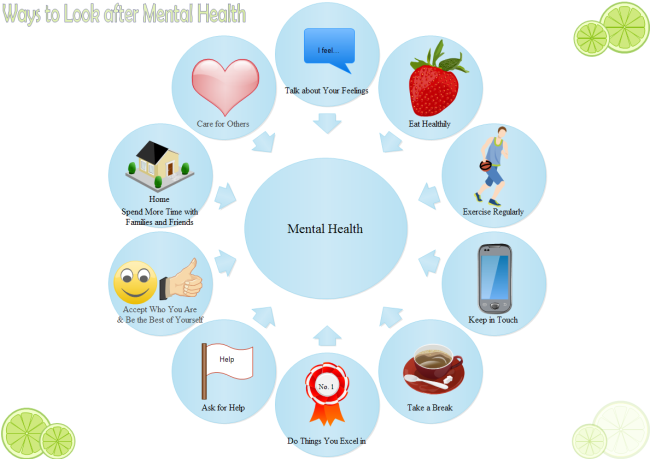 Start creating metal health wheel diagram template by choosing a template you like, editing the contents and adding the circles if needed. 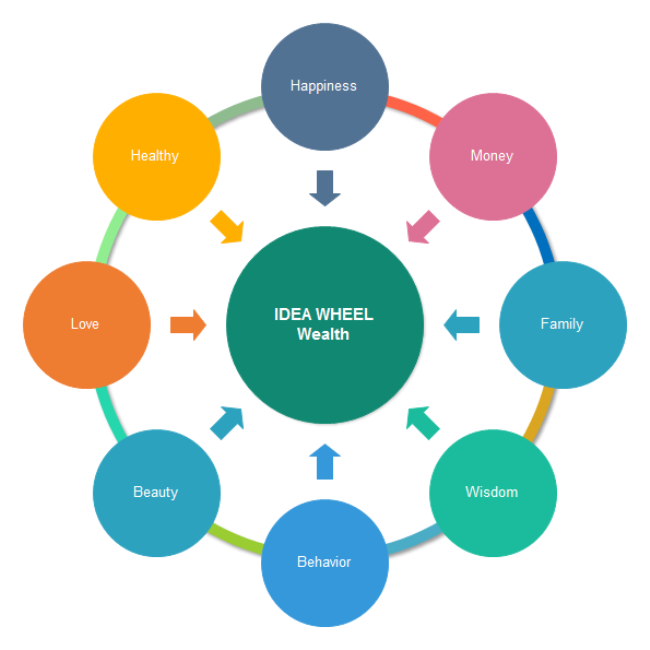 Then an attractive competitive strategy wheel diagram with professional-looking is created with just several clicks. 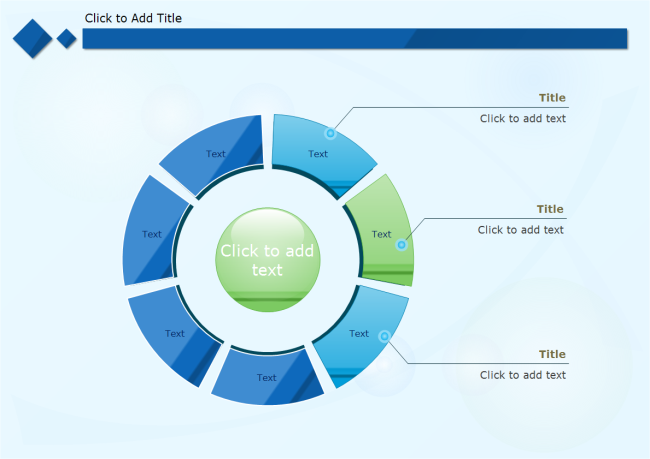 Users can easily create a wheel diagram template for PPT in Edraw Max. 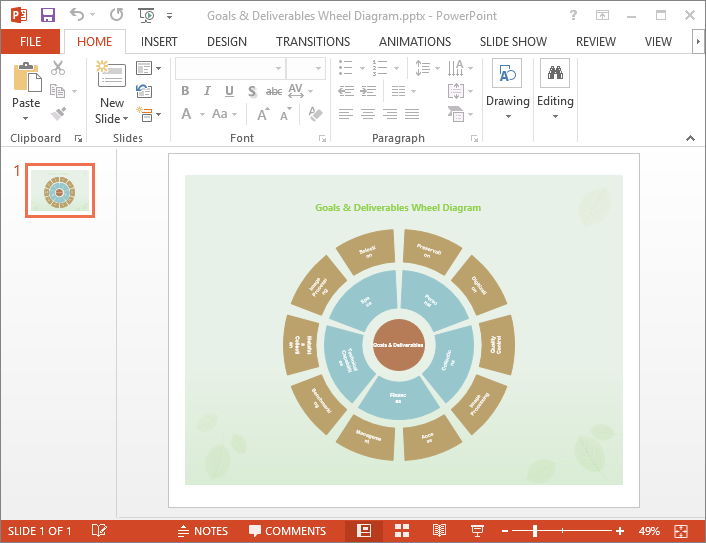 Just click Export & Send on the File menu after drawing the wheel diagram, and choose Office > PowerPoint, then users get a PowerPoint wheel diagram template within several seconds. Click Wheel Diagram Templates for PPT to Know Detailed Steps. Converting wheel diagram template to PDF can be effortless with Edraw Max. 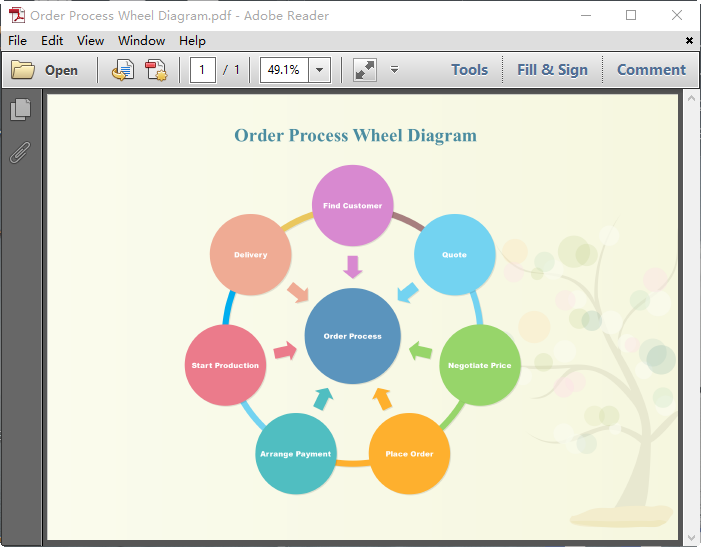 Just click your mouse and export the template to PDF, then you can get a PDF wheel diagram successfully. 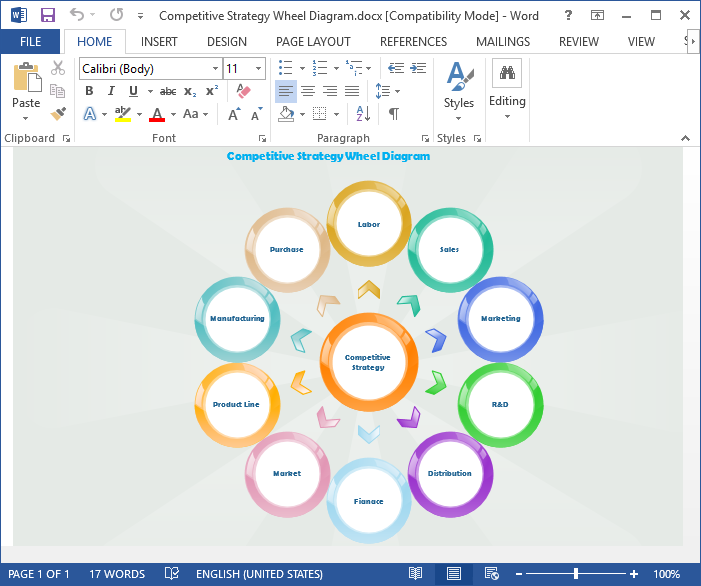 Creating wheel diagram template for Word is as simple as above formats. And users can still make changes on the converted wheel diagram template. Edraw Max is such a professional program for creating wheel diagrams. If you are not sure what kind of wheel diagram t you need, you can view all examples and use premade wheel diagram templates. And it offers thousands of symbols for dragging and dropping, with no drawing skills required, even a new hand can make an attractive wheel diagram. Edraw Max is not only professional for creating wheel diagrams, but also powerful for creating flowcharts, org charts, infographics, floor plans, fashion designs and many other diagrams. 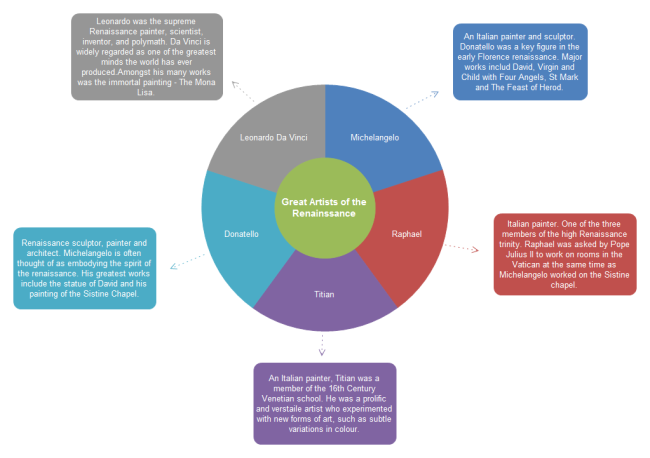 Following are some examples of diagrams drawn by Edraw Max. Following are examples created by Edraw Max. Discover why Edraw is an excellent program to create wheel diagram. Try Edraw FREE.